Order NOW for Back to School 2019, Starting from just $299! 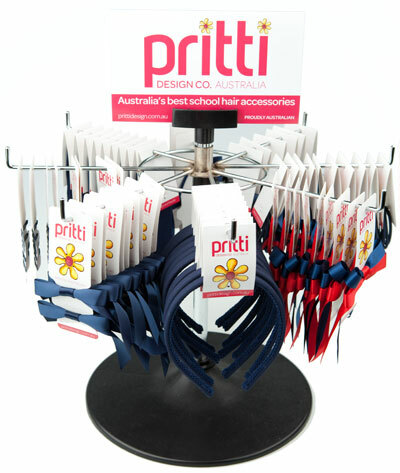 Now is the perfect time to introduce school hair accessories into your Uniform Shop ready for Back to School. We are the leading supplier to hundreds of schools like yours, Australia wide. Our range of styles and colours is huge and our reputation for high quality and innovative products is second to none! We know our range would be a welcome addition to your school as it not only improves the uniform standard within your school; it makes life easier for parents searching for hair accessories in the correct colour and also makes a profit for your school shop. 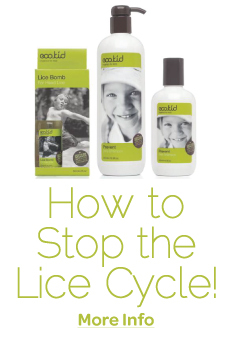 A great way to start is with our School Hair Accessories Starter Pack. Below are all of the items we have included in this special offer; these have been our best selling items over the years. Your starter pack will be custom made in your schools colours, ready within 2-3 weeks! 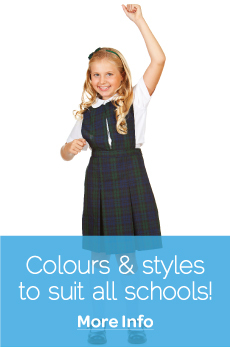 If you prefer to choose your own range that is fine, we'll help you choose the best products for your school considering the age group of the girls, and the school uniform fabric & colours. 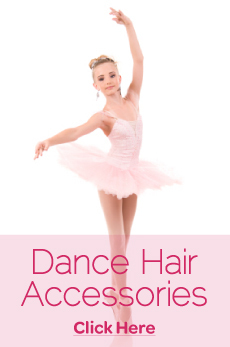 This is a great opportunity for you to try our school hair accessories at no risk as we are offering you our Sale or Return Policy on any of the products you purchase. This means if a particular product from our core range is not selling well at your school, we'll swap it over to something that is, no questions asked! If for any reason you decide not to keep our products in your store, you may return them for a full refund. 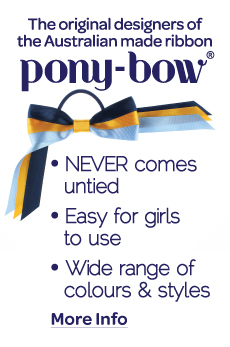 Our huge range of ribbon Pony-Bows®﻿, Hairbands, Scrunchies, Elastics & Clips are available in every school colour! 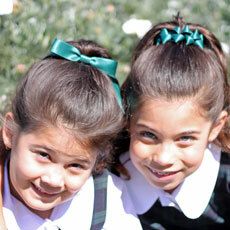 We custom make hair accessories in your school uniform fabric. Our products are of excellent quality and durability, the girls and mums love them! 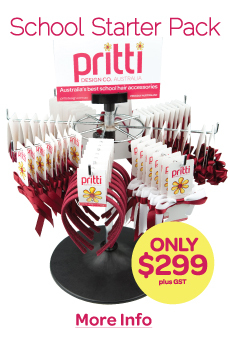 We'll provide you with a complimentary display stand to keep your range in excellent order. We promise to provide you with the best range of school hair accessories teamed with outstanding service every time or we will refund 100% of your money. Our new website allows you to view all products and order online with your school's own customer log-in and order form. 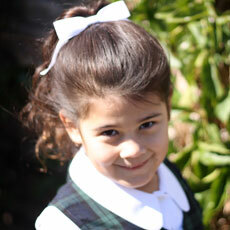 Please call me today if you would like to discuss stocking our school hair accessories in your Uniform Shop. Our guarantee ensures that you will be totally happy with your school hair accessories so go ahead and call us today..... you have nothing to lose! We look forward to hearing from you soon!